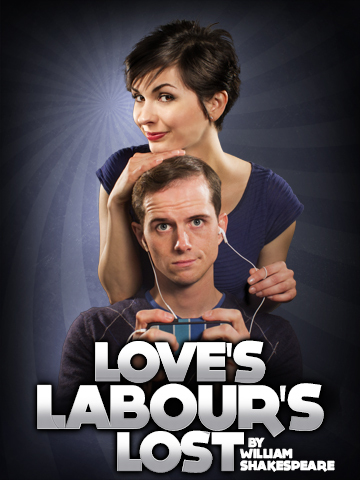 Coeurage Theatre Company, LA’s ‘Pay What You Want’ Company presents Shakespeare’s Love’s Labour’s Lost, directed by Ted Barton, Oct. 11 – Nov. 10. Opening night is set for Saturday Oct. 12, at the 2nd Stage Theatre in Hollywood. In this witty comedy, three noble companions take an oath to devote themselves to three years of study, promising not to give in to the company of women – one somewhat more hesitantly than the others. He reminds the king that the princess and her three ladies are coming to the kingdom, and when all the parties meet, they all fall comically, instantly in love. The cast will feature Brian Abraham, Jonas Barranca, Anthony Mark Barrow, Elitia Daniels, Julianne Donelle, Michael Faulkner, Madeline Harris, John Klopping, Jeremy Lelliott, Ian Littleworth, TJ Marchbank, Chris O’Brien, Emelie O’Hara, William Reinbold, Sammi Smith, and Patrick Wenk-Wolf. The production design is by Tito Fleetwood Ladd, costume design is by Mary Reilly, and sound design is by Joe Calarco. Director Ted Barton returns to Coeurage, where he performed in Translations earlier this season. His work includes performances at Mark Taper Forum, TheatreWorks, Berkeley Playhouse, MainStreet Theatre Company, Theatricum Botanicum; California, Colorado, and Lake Tahoe Shakespeare Festivals and Shakespeare Santa Cruz. Performances will take place at the 2nd Stage Theatre, Friday and Saturday at 8pm and Sunday at 7pm, Oct. 11 – Nov. 10. All seats are available on a Pay What You Want basis. Click Here to reserve online or call (323) 944-2165. The 2nd Stage Theatre is located at 6500 Santa Monica Boulevard in Hollywood, 90038. Street parking is available.